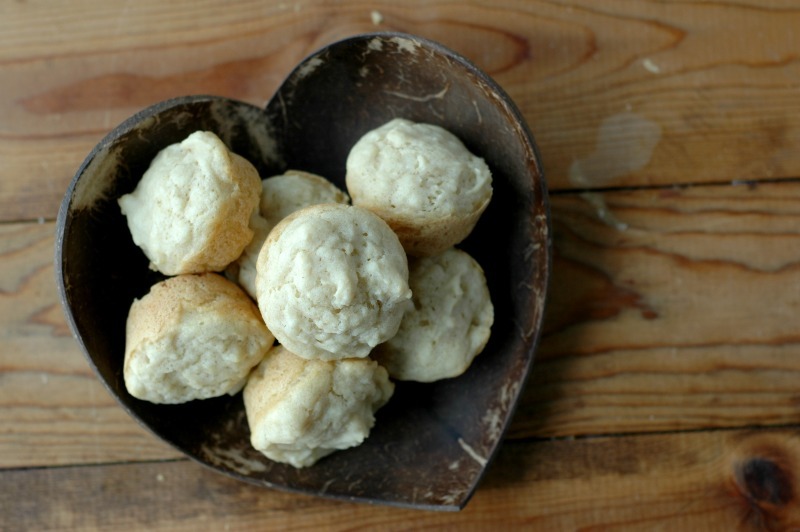 Gluten Free Mini Pancake Muffins :: Easy Prep, 8 Ingredient Batter Too! 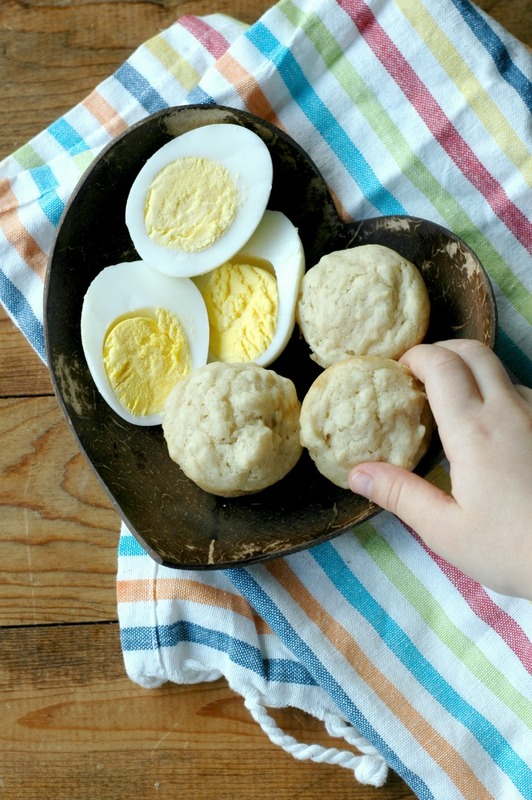 On-the-go breakfast just became kid friendly, mess free, and super delicious with these portable, pack-able, freeze-able gluten free mini pancake muffins! Spring that is! 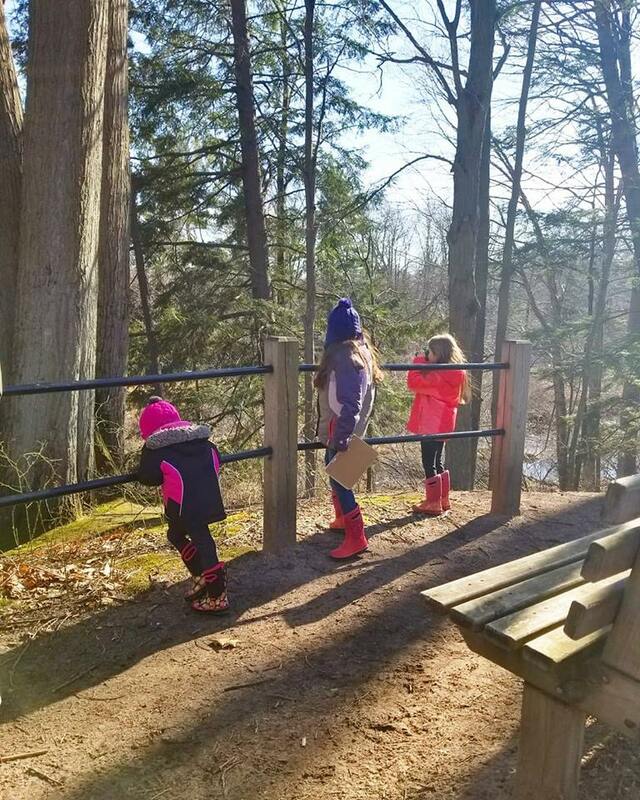 We have had some glimpses of spring teasing us with its promise of more sunshine, and we are soaking in all that we can as we climb out of our winter hibernation! I hope you all have been able to see peeks of spring near you in the last few weeks that I’ve taken off while nursing a broken wrist. Thank you for your patience while I heal – it has been so hard to no be able to type, and I have missed you all! 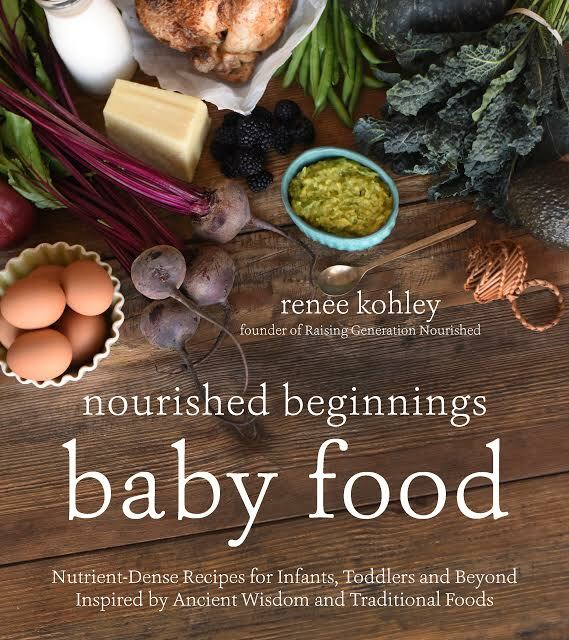 Here’s to plenty of sunshine, and lots of spring and summer recipes on the way to fill your table and nourish your family’s bellies! I’m on the tail end of about 8 years in a row of the toddler and preschool years through 3 different personality kiddos, and dear momma, I have learned so much. While those little guys seem to have early body clocks most days, it always seems like the days that we need to be out the door early are the days that they decide to be pokey in being ready to go for the day…who’s feelin’ me?! Because it just isn’t worth it. About 2 kiddos into this thing I realized it wasn’t worth fighting. Having some on the go options that pack well for the morning school drop off/carpool/whatever your morning schedule looks like has been a lifesaver for me since my first born started school years ago. Those of you wondering why there are so many breakfast cookies on my blog can now understand how those were born! (Use the search bar up top and search breakfast cookie to see what I mean!). Roll with it and keep your sanity. You can still make healthy, filling breakfasts that can easily pack and travel too. Saturday pancakes made for a Tuesday morning! Because most of us don’t have time to mess with fussy 15 ingredient batters, or sit at a griddle flipping pancakes on a school morning! One of my biggest goals with these mini pancakes was less than 10 ingredients. I want even my busy work-outside-of-the-home mommas, and my new-to-real-food-cooking mommas to be able to get these on the breakfast menu weekly and not be intimidated. I’d say these 8 ingredients are pretty simple, and I hope that the fact that they freeze well will also make this a winner for every kind of household schedule. Absolutely, dear momma! Double up baking the mini muffins for your Saturday or Sunday morning breakfast, and save one of the batches for the middle of the school week! The kids will love the change up, and you will never look back because this freezer batch up business is seriously where it’s at! My freezer routine for these kind of baked goods is to take the freezer bag of muffins out before I go to bed so they thaw over night. Then in the morning just pop them in a cold oven on a sheet tray. I pre-heat the oven to 275 and turn the oven off. They warm up perfectly in the pre-heating time. They do also taste great without being warmed through by the way! 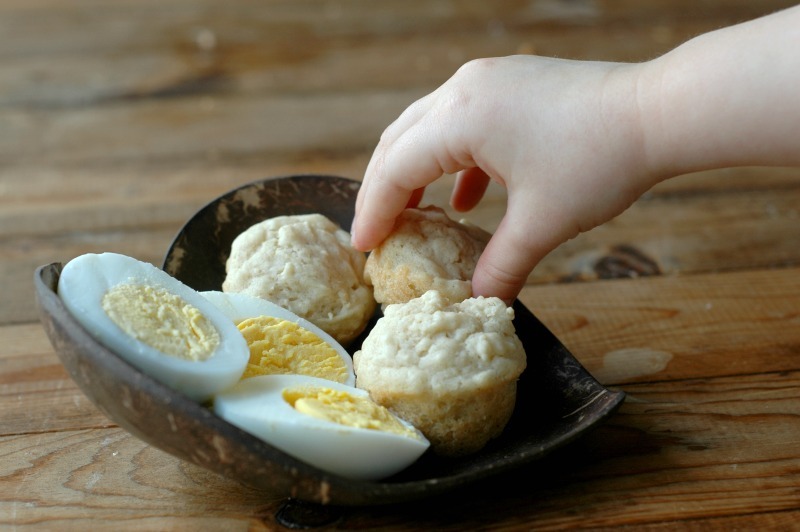 Plain pancake muffins with hard boiled eggs and glass of raw milk/coconut milk (pack the milk in a thermos if on the go. I used these for travel drinking for my little ones). You can spread butter on the muffins too. Pancake muffins spread with coconut butter or nut/seed butter of choice, and dish of yogurt. You can add collagen to the yogurt for extra protein too. If doing this to-go, just put the yogurt in a to-go container. Plain pancake muffins, raw cheese/goat cheese, and grassfed beef jerky make a great on the go bowl of little bites! Plain pancake muffins, cubes of avocado, a few almonds, and a clementine make a great on the go bowl of little bites too! Measure the maple syrup to taste. If you have little ones use that 2 tbsp – they won’t know any differently. If you have older kids, that 4 tbsp will make it tasty to the point they won’t want to dip it in more maple syrup like real pancakes. I have found that when I make them with less syrup with the thought of letting them dip the pancakes in syrup, they use way more syrup than if I just add that extra syrup into the batter and don’t offer the dipping. Do what works for you though! I’m sure other GF flour blends would work, but I have not tested them. I hear the TJ’s GF mix is very similar to Namaste. Let us know in the comments if you try a different GF flour blend and how it works! For my grain free friends, my goal with this recipe was super, super simple for even new real foodies to be able to make, which is why I stuck with the simple GF flour blend. I have not tested the recipe with grain free flours, though I think it is definitely do-able. Amounts will need to be adjusted for sure, and you will probably need a couple different types of grain free flours to make it work – if you like playing around with that let us know what you try and what works! I’m sure there are others who will love to learn from you! 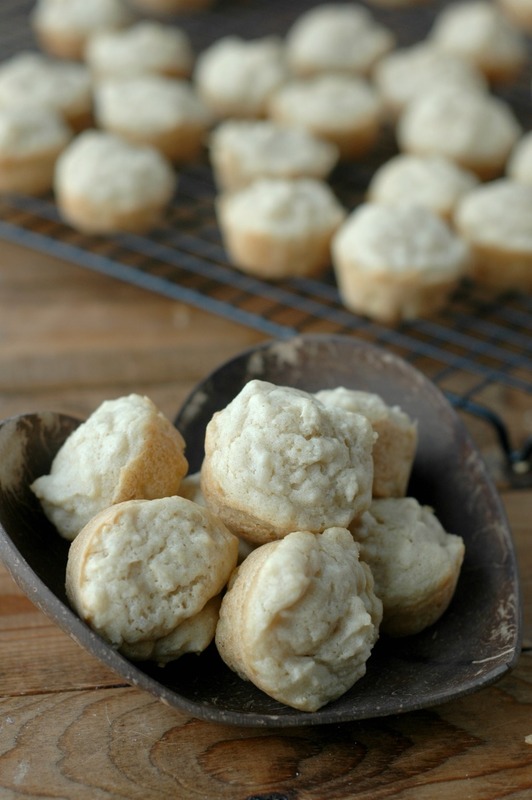 In the meantime, have you seen the Paleo (grain free) mini banana muffins posted last month?! They are ahhh-mazing! Egg free friends! If you can’t swap the chicken eggs for duck eggs, go ahead and swap eggs for flax eggs. I think it will work just fine. 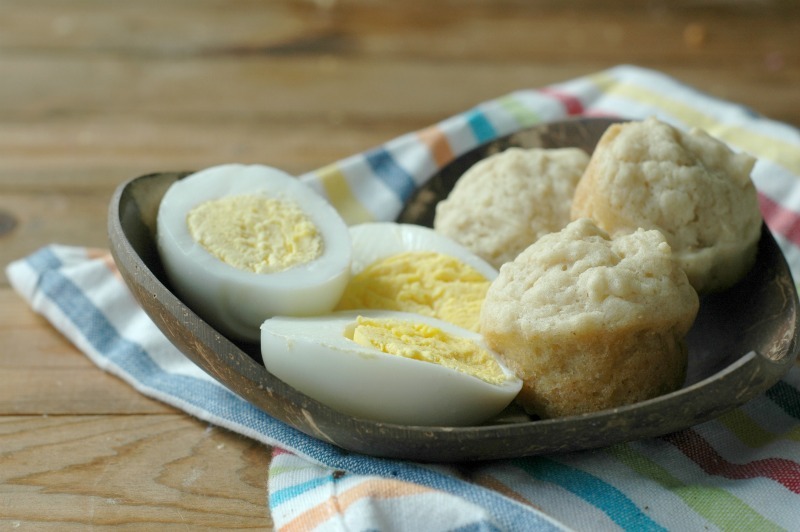 You may want to add a tbsp of apple cider vinegar to react with the baking powder to help with the rise of the muffin since the eggs not only help bind, but also rise. Gah! You guys this mini muffin tin. I swear if I could go back to my really early toddler days with 3 kids under 5 years old, I would totally gift myself one of these! It is such a game changer for little hands. Sure, regular sized muffins are a big hit with little kids, but these mini muffins are easier to eat, less messy, and you have less of a chance of that thing happening where they say they want another muffin, take one bite, and then say they are full…*all the eyerolls* right?! Seriously…you deserve to gift yourself one! I also want to mention that I’ve found this avocado spray to be the best way to grease mini muffin tins – it is way faster and makes clean-up a breeze. 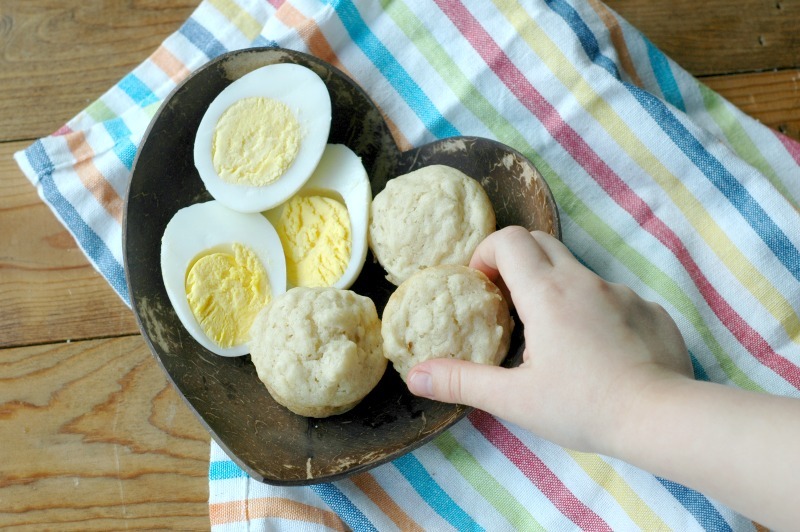 On-the-go breakfast just became kid-friendly, mess-free, and super delicious with these portable, pack-able, freeze-able gluten-free mini pancake muffins! Preheat the oven to 350 degrees and grease your mini muffin tin. I like to use this avocado oil spray. You could dab a paper towel with avocado oil or butter to grease them easily too. Blend the eggs, oil, syrup, and vanilla extract on high for 1 minute. Add the coconut milk, flour, baking powder, and sea salt and blend on low to combine. 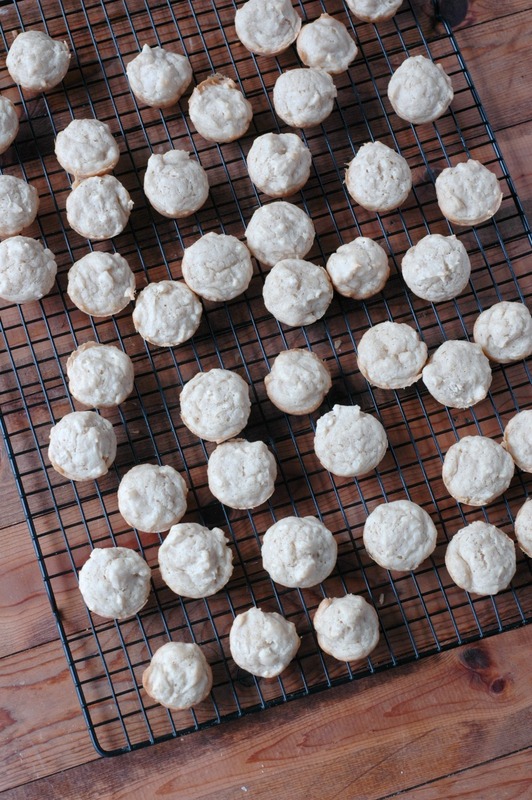 A few flour lumps are ok.
Scoop the batter into your mini muffin pan filling each cup 3/4 of the way full. It should fill up a full 48 cup mini muffin tin. Bake the mini muffins at 350 for 15 minutes until they puff up and are golden brown on the sides. Cool in the pan for a few minutes and then transfer the mini muffins to a cooling rack to cool the rest of the way. They slide right out, so I just dump them right on the cooling rack. If you plan to freeze the muffins, cool them to room temp before putting them in a freezer bag. Make Your Own REAL FOOD Ice Cream Sundae Party! Super excited to try these! Will they still turn out ok if I use a regular size muffin tray ? I’m really not a morning person and now that we have 2 kids I’m in need of easy breakfast ideas! I’m trying out a bunch of yours this week! So glad so many of the recipes I can make and freeze! Hi Susan! I think that would be fine – cook time might be a bit longer? Let us know how they turn out! I love to make pancake muffins!! You’re right…fighting them just wears YOU out, so learning to go with the flow more really is a life saver!! Sage advice! Some lessons we have to learn the hard way…I know I have! I have everything to make these this afternoon, and now I know what my kids are having for breakfast tomorrow! Such a fun and easy recipe! Thank you! 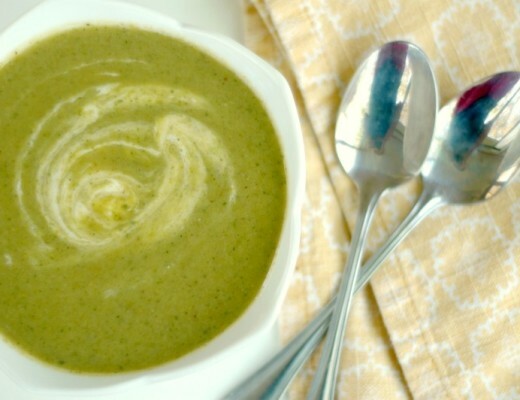 Love that this recipe uses avocado oil and coconut milk! Totally agree with you about those toddler years! I struggled too over getting out of the door. I finally learned it’s not worth the fight and there is never the perfect answer to everything when it comes to the little ones. Some days I just go with the flow and let them eat a good breakfast at the table and be late to things. Seriously took me forever to make peace with myself. I LOVE your mini muffin tin by the way! Will need to try the recipe, thanks for sharing. These are a great idea. I am all about the grab and go breakfast. I also love your little hand models! I love your timesaving ideas: muffins instead of pancakes, making extra on the weekend, and avocado oil spray! I’m sure those little muffins prevent waste, too. Oh my goodness yes! I am so in the same boat with morning routines and car breakfasts are a life saver. I never thought to make pancakes into mini-muffins… these are just brilliant. Thank you! 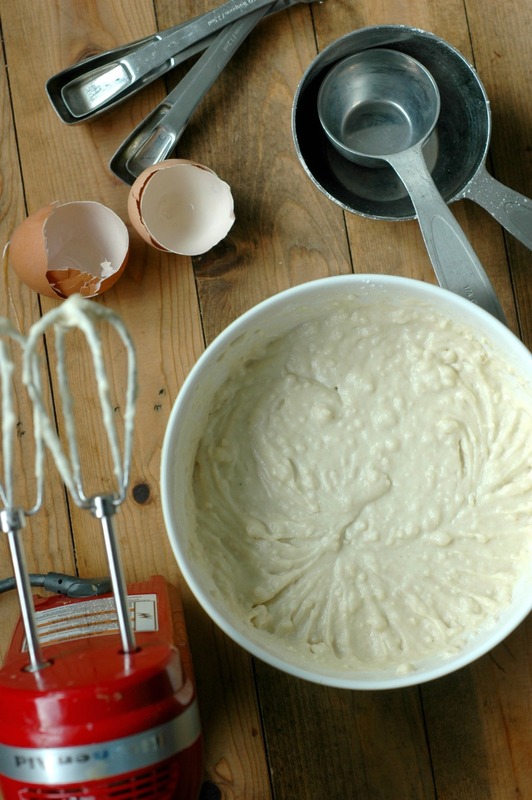 Love the idea of making pancakes which can be enjoyed on the go, and frozen for even more convenience. With lots of little ones to manage I can imagine it’s a total lifesaver! What a fun recipe! And yeah… I definitely have one of those one-bite toddlers… Gonna have to get one of those pans! What an adorable idea!! My kids would love these and they’re so perfect for freezing!! Such a great idea and I’m always a fan of grab n go breakfasts. Anything to make those mornings easier! They are so cute and looks absolutely delicious. Thanks for always sharing your family’s favorite with us ! These muffins along with your suggested sides would make great lunches for school too. I know my kids love it when they take “unconventional” foods for lunch. Yes Katie! I totally agree! I love these mini muffins. Not sweet at all to me but i still love them. Thanks! These are so perfect! I love how easy they are – something the girls could get in the kitchen and help with too. 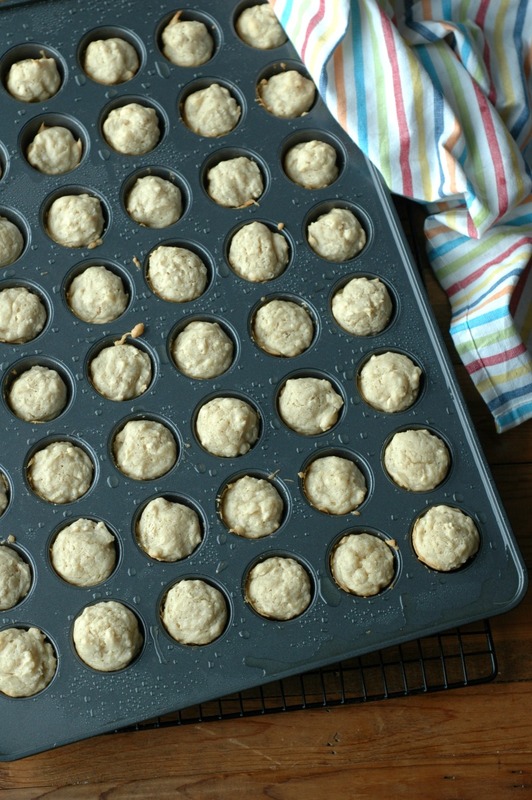 I’ve got to get myself a mini muffin baking pan soon, before school starts for sure! These are so perfect! Who wants to stand in front of the stove forever cooking pancakes when you could just bake them! Thanks for the wonderful recipe. 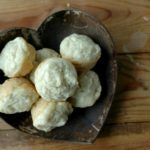 I made these twice within a week because they are easy to make and tasty, both my boys loved them. I previously made a similar gluten free muffins for them but both ended up not liking them. 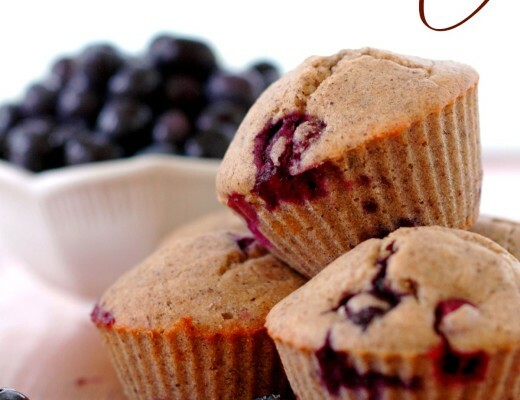 I’m so excited to find a muffin recipe which I am happy for them to eat and they enjoy as well. 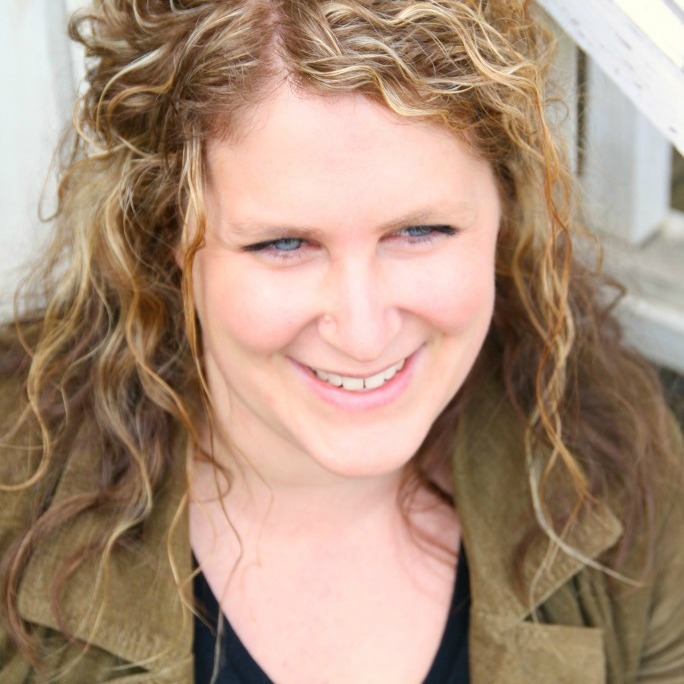 That is so great Susanna! Always great to find a morning staple!